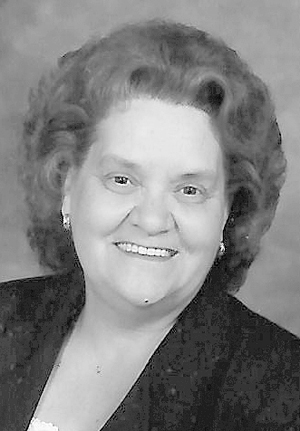 NEW CUMBERLAND — Susie Kathryn Miller, 80, of New Cumberland, passed away Friday, April 12, 2019. Born in Nicut, W.Va. on Oct.13, 1938, she was the daughter of the late Otha and Ocie (Hardway) Lane. Susie was a retired Supervisor for Mountaineer Resort. She attended New Cumberland Nazarene Church. Her husband, Franklin “Gene” Miller and her three infant children, twins, Susie and Susan and a son, Michael; and a brother, Glen Lane preceded her in death. Surviving are her daughter, Vicki Miller of New Cumberland; a grandson, Matthew Lorraine of New Cumberland; two sisters, Freda (Ray) Hawkins of W.Va. and Linda Robinson of W.Va. and sister-in-law, Kitty Lane of W.Va.; four brothers, Dennis (Annette) Lane, Johnny (Sue) Lane, Bobby (Jean) Lane and Jimmie (Sandra) Lane all of W.Va.; Also survived by dear friend, Herb Harper of New Cumberland. Visitation is 4-7 p.m. on Monday, April 15, at the Nixon Funeral Home, Newell, W.Va., where funeral services will be held at 11 a.m. on Tuesday, April 16, 2019.